This week we move north from Croydon to Sheffield to start a series of archive images from the Supertram network, starting off with an image during testing. 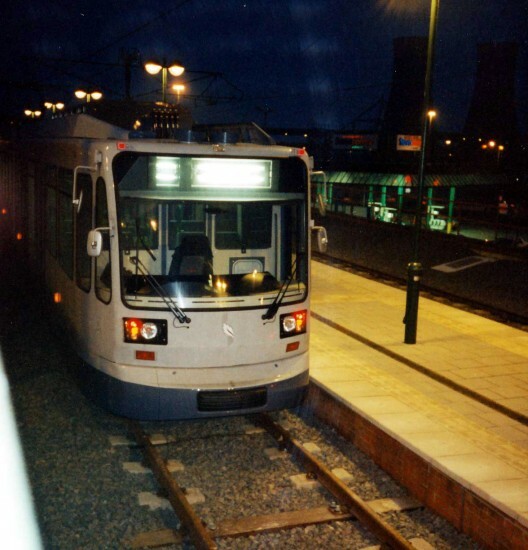 Taken on 22nd February 1994 this photo shows an unidentified tram at Meadowhall Interchange on test before not only the fleet number but also the destination blinds had been fitted to the tram – at least at this end anyway. It would be a little under a month later before public services would begin to Meadowhall (it being on the first phase of opening between Fitzalan Square and Meadowhall on 21st March 1994).